Landscaping project will look great and save water, too. 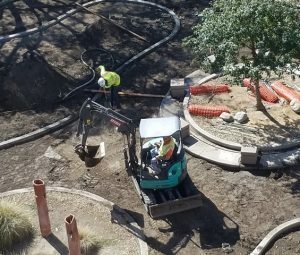 If you’ve seen the temporary fencing and heard the sound of heavy equipment around the County Government Center in downtown San Bernardino in recent weeks, you’ve witnessed County Government’s latest effort to spruce up its portion of the city and use natural resources more wisely in the years ahead. 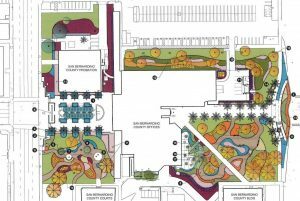 The water-guzzling lawns, shrubs and distressed trees on the west, north and east sides of the County Government Center will be replaced with drought-tolerant plants, walking paths, and seating areas. Healthy trees, including the signature Canary Island date palms, will be preserved, as will the water-wise recirculating fountain in front of the Government Center. 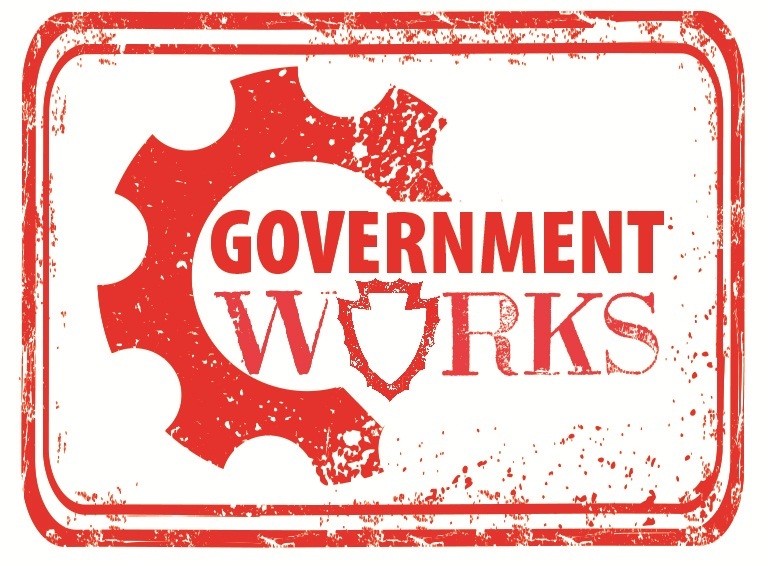 Work began in August and is scheduled to continue through December. The landscaping around the County Government Center hasn’t been updated since the building was designed and constructed in the mid-1980s, a time when lush green lawns were still the norm despite the tremendous amount of water needed to maintain them. Decades of trying to survive in San Bernardino’s summer climate eventually took their toll on some of the tall, non-native trees surrounding the County Government Center and rendered them ill. Their removal as part of the landscaping project has already opened up views of the property. A long-needed trimming of the remaining healthy trees has also improved the look of the Government Center early in the project.